Natalie put on her leotard and admired her ballerina self in the mirror. She twisted a little to watch the fancy sway of her sheer skirt. She looked at the flower barette in her hair and grinned at herself. I saw her grab her sleeves and tug on them. First one side, then the other. She was trying to make the neckline stretch out over her shoulders. She would uncover one side and the other side would snap back into place, so she tried with both hands to make the neckline wider and more revealing. “What are you doing?,” I asked. She shrugged. Natalie smiled and nodded, a little embarrassed that I had discovered her thoughts. Now I’m feeling a tiny bit cautious. The Lord has commanded us to teach our children important truths, and teaching modesty and virtue is one of our most vital responsibilities. Your body is a temple. It is a gift from God. Modesty in dress, thought, attitude, and behavior invites the companionship of the Holy Ghost and reflects your personal commitment to the gospel. The way you dress and behave sends messages to others about your attitudes and how you feel about yourself. You can be attractive without being immodest. As parents, we need to speak frankly about these natural tendencies but also about the importance and value of self-discipline that Heavenly Father requires us to learn as we overcome the “natural man” (see Mosiah 3:19). In this case, that refers to dressing and acting in a modest manner. I realize that the infraction is small, but it got me thinking. I just wish that, even in the cartoon world, princesses understood that with royalty comes responsibility. Go figure, huh? I was the only one in a thong bikini at the beach that day. You have pointed out a sad truth, that is just getting worse. Childrens “entertainment” is just getting more and more sexualized. It to bad that things have gotten this out of hand. I think even more sad then the immodesty in cartoon princesses is the immodesty often displayed in real life Mommies. I sometimes cringe when I “see” the leaders that work so closely with our primary children and our young women. Our little ones really are impressionable and sometimes we need to stop and take a look at what impressions “we” are giving them. I have to say that I never really liked Ariel because she wore an immodest “bikini.” Same with Jasmine, though I was more offended by Ariel. (As a however-old-I-was girl.) but MAJOR props to you for teaching your daughter now. It’s something I’ve started to think about, as well. I’ve seen summer clothes on clearance that I’ve wanted to buy, but I’m kind of torn with tanks/spaghetti straps. I think they’re adorable on little babies, but if you start then, when do you stop? Excellent thoughts on the subject… Lucy came downstairs once wearing a t shirt that she thought was “too loose.” She wanted me to tie a not in the back to make it more fitted. We had a little discussion and then she happily went off to school with the shirt loose and absolutely adorable… It’s scary where these notions even came from. She’s six!! It’s tough to feel glamorous when you’re dressed modestly, because we all grew up seeing these incorrect examples. 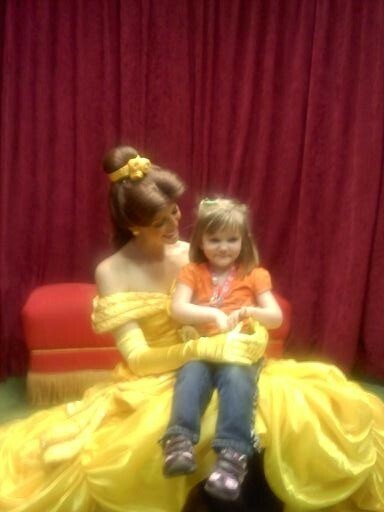 My daughter has learned, though, that princess dresses and tank tops are just as pretty with a t-shirt underneath. As a “princess” myself, I just have to speak up to say that not all of us are immodest. Some of us are even ugly, old, and have really thin, limp hair. Seriously, good job. Just wait until Natalie starts trying on prom dresses. My Kate had no choice but to sew hers, and she had to cobble two regular dress patterns together because there weren’t any modest prom dress patterns either. I’m grateful to my mother for teaching me sewing skills! Great post. Now I feel a little bad for posting a picture of my daughters tummy. I have recently changed out my 5 year old’s bedroom decor because it was covered with Ariel wallies, and I felt she’s old enough that it was inappropriate. My daughter has a good internal sense of modesty for herself, and has never seemed to connect the two, but I know it was just a matter of time. It’s very interesting to compare the old princesses like Snow White and Sleeping Beauty with the newer ones. Not just the clothing–hair, eyes, mouths, posture have all been sexualized. It’s funny to me how much aware of this I’ve become as I shop for my first girl. In a land of sundresses and tank tops, I’ve suddenly become the prime collector of infant-sized white tee shirts for layering so that all the strappy things I see on hangers are choices that actually make sense for my baby. I know it’s important to remember that not only do I need to buy her the right clothes; I have to teach her about why it matters as she gets older. And by older, I mean 3. Teach them young. Even though you talk and talk and show by example, I am sure there will come a day when they question…hopefully they will make correct choices when the time comes for independence. Day 1 is the day to start teaching modesty. This is why I do what I do for a living. Modesty is one of my tallest soap boxes! We have kind of boycotted Disney paraphernalia in our house in the past few years. The original movies seem harmless enough, but lately, all the Disney Princess calendars and logos and t-shirts and pajamas have morphed the bodies of these princess to leave NOTHING to the imagination. It shows curves where there didn’t used to be curves, etc. Skin tight dresses? I don’t think so! Not in my house! And not on my children either, thank you! I love what Melanie said. “And by older, I mean 3.” It’s quite stunning how early we need to start teaching our children this. They’re inundated at such a young age. Thought-provoking post, Stephanie. Thank you! *We decided when our daughters turned 2 years old that there would no longer be anything sleeveless, regardless of how cute or innocent it may be. *Swimming suits from age 0 are one-pieces (or very, very long tankinis). *My girls (ages 8 and 6 –soon to be 9 and 7!) wear long undershirts, too, because shirts are too short. “It has to fit, be modest, and be weather appropriate.” Having this rule has saved us all from a lot of arguments on what is appropriate to wear! I’ve always said it’s important to start teaching them when they are very young. It’s confusing to a child to wear bikinis until they are 12 and then suddenly it’s “wrong,” you know? I’ve been through this with my eldest. It’s been interesting to me that my middle daughter doesn’t seem to care or notice the immodesty. But my eldest has been totally affected by it. We still work on it, even now that she has outgrown princesses. I usually don’t let them wear anything sleeveless unless they’re tiny babies, and even then I have been strict. It gets harder and harder, and thank goodness for winter so we can have modest clothing in our lives! Thank goodness for the strength of youth book! This is no longer what mummy & daddy want, it is what the first presidency has advised us to do. I have 3 girls, and modesty has started right from the time they were born. 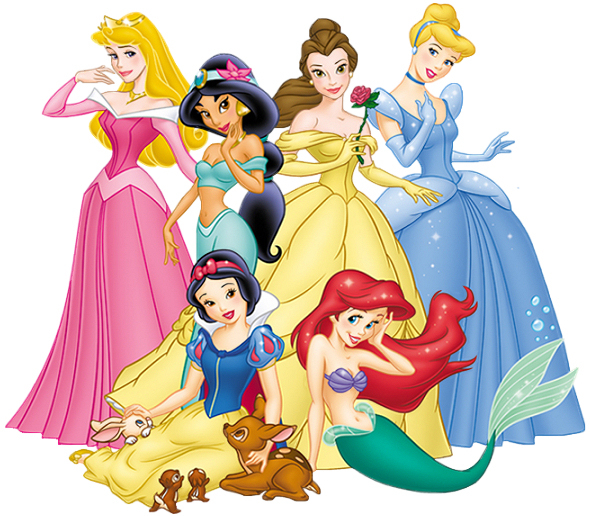 Another interesting thing that I noticed about my daughters who watched princess and barbie movies, was that at about 3 or 4, they started believing that in order to look “pretty” they had to wear a skirt/dress. My youngest who is 3 and has watched the barbie princess movies, tries to wear a long skirt whenever she can! A win in the modesty department, but I want them to know they are beautiful no matter what (modest) clothes they wear! P.S. Steph, I like the addition of number 5 to my “motherhood: a rollercoaster ride” post! Very funny!